Kens.co has won the Kyushu Mirai( Future) Award 2019. It was held in March 2019 at Fukuoka in Japan. 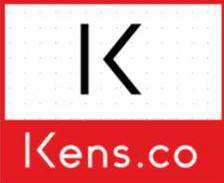 After screen out among many SME companies in Kyushu, the panel selected Kens.co as a winner of such competition for its innovative ideas to represent Japan to the world. Kens.co`s president Mr Nobuhiro Kawaguchi presented his ideas and CSR which is known as GOOD ON ROOFS. Basically, a part of profits from selling electricity in Japan goes to Africa to provide solar installation cost. As a result, it helps to contribute to Africa to access more electricity from solar. In such ways, the idea came through Mr Kawaguchi to help Africa with solar power contribution.